We continue with the most amazing wallpapers which main elements are butterflies, surely you will find more than one that will conquer you, do not hesitate and enjoy it or them when you turn on your computer or any other technological device that allows you to have a wallpaper. 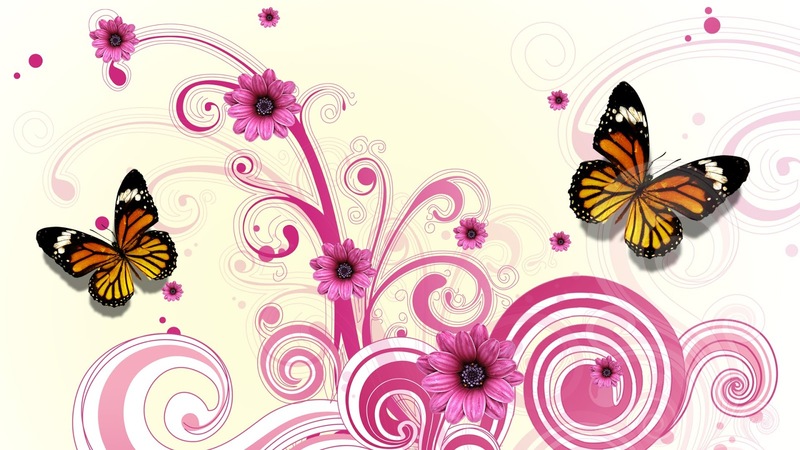 An interesting wallpaper with wavy pink lines with flowers of the same color and two orange butterflies between them. 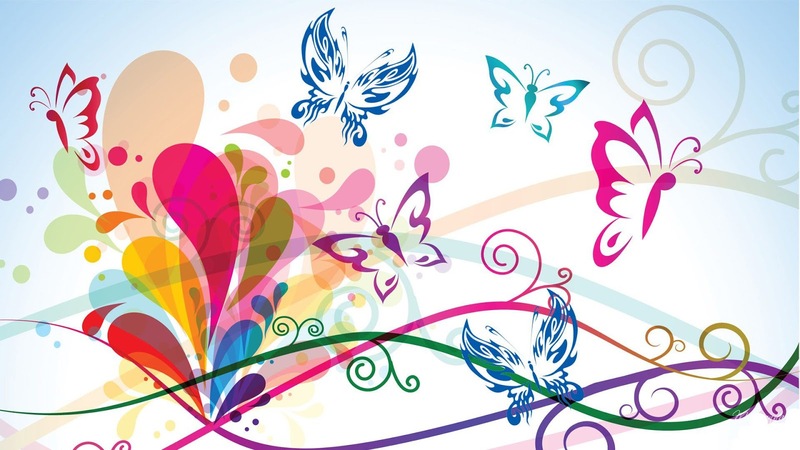 A colorful wallpaper with butterflies and stylized lines of multiple colors. 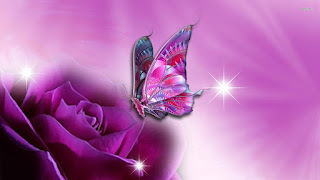 An enigmatic purple wallpaper with a rose and a butterfly flying toward it. 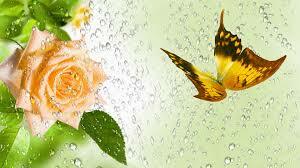 An elegant wallpaper with a melon rose on the left side and in front of it, a yellow butterfly, behind we can see some drops of water. 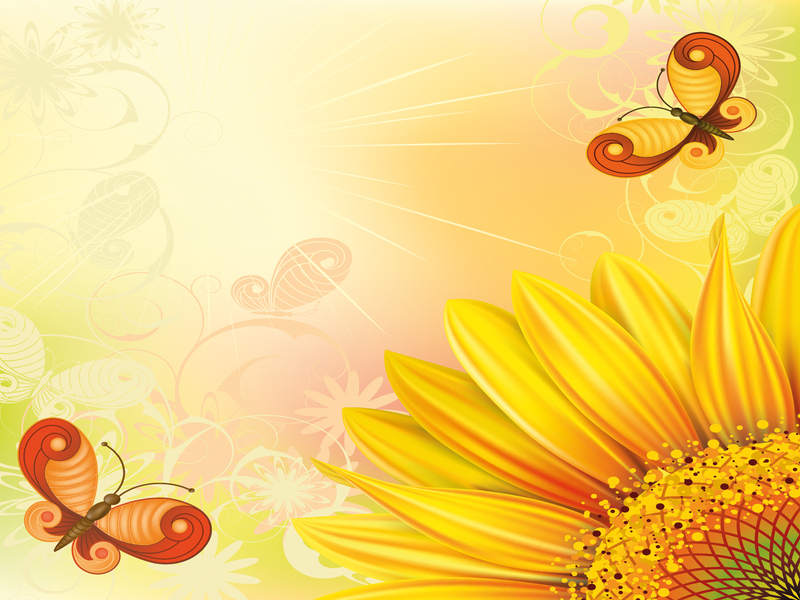 A colorful wallpaper with a pair of butterflies flying in the corners and a big sunflower in the right. 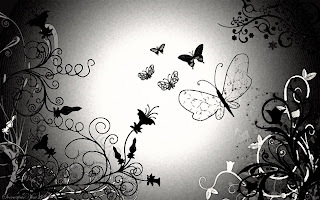 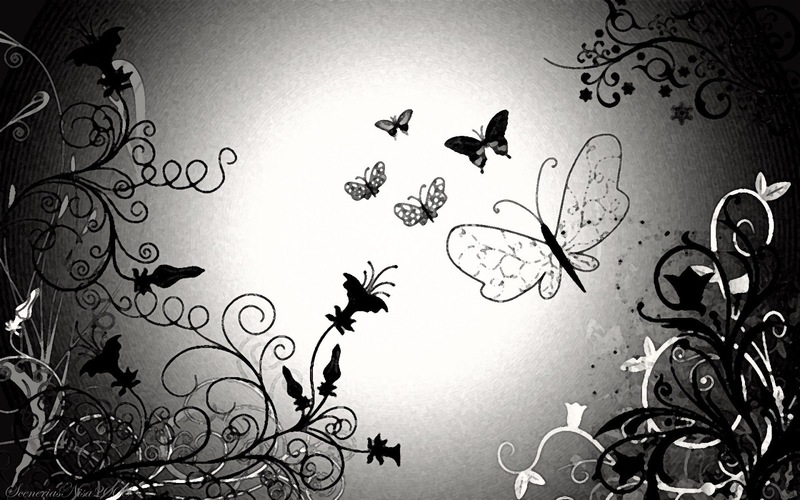 A wallpaper of gray tones with black, white and gray flowers and butterflies. 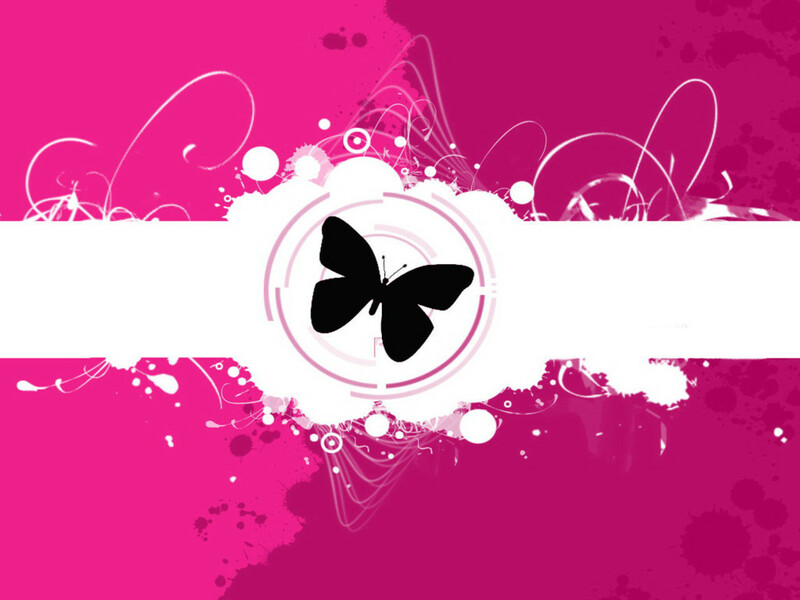 A pink wallpaper with a white area in the middle and a black butterfly. 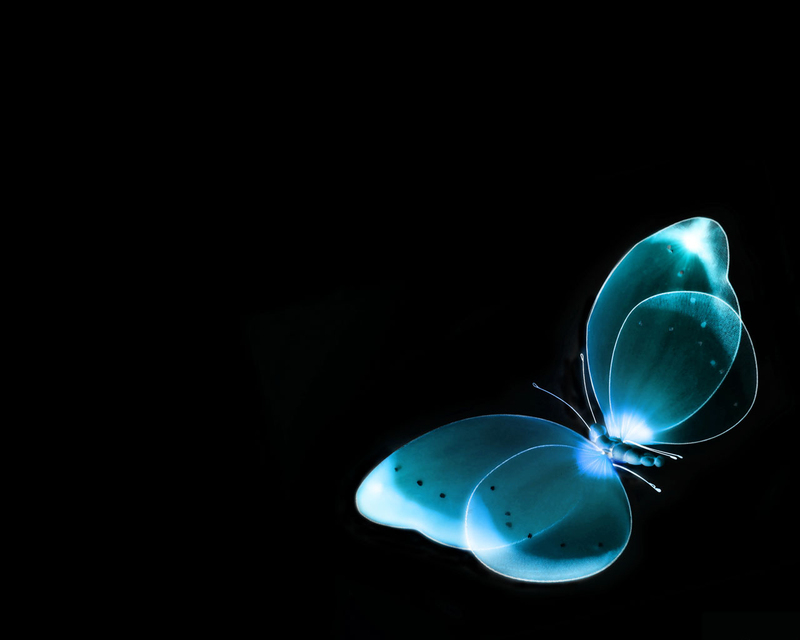 A shocking black wallpaper with a turquoise butterfly in the lower corner. 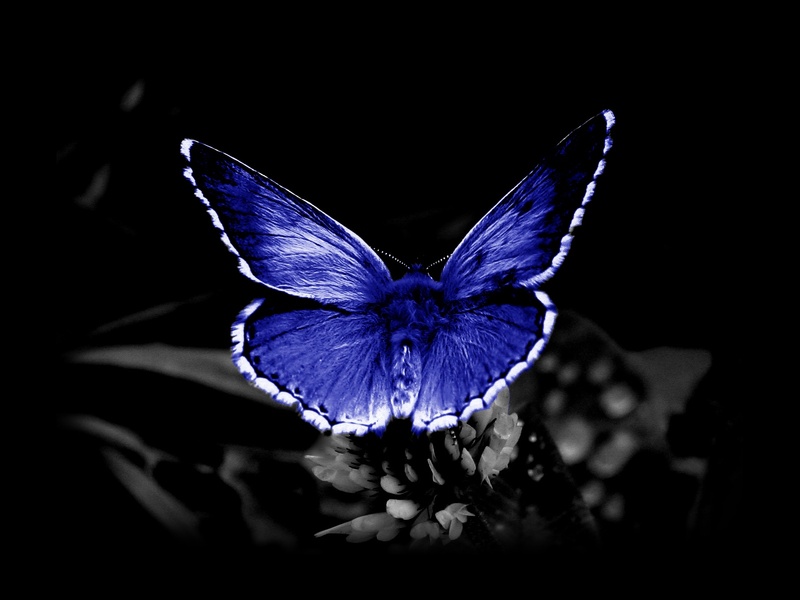 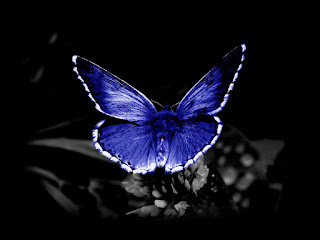 Another dark wallpaper with a blue butterfly in the middle. 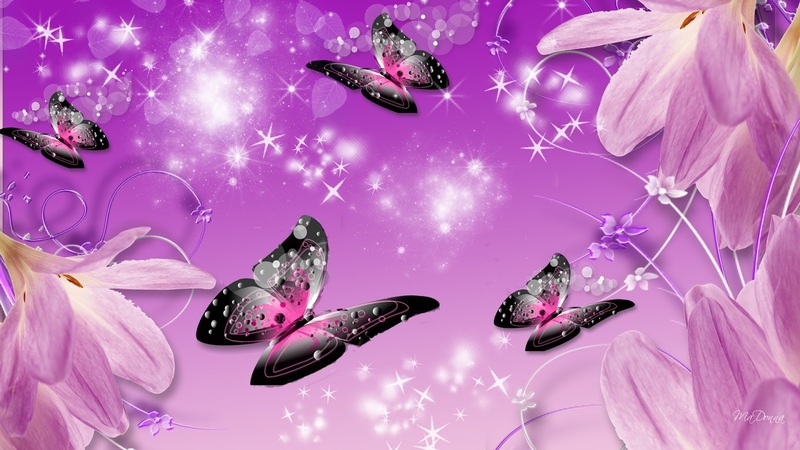 A wallpaper with a purple background and dark butterflies flying among some flowers.